Nothing is 100 percent certain in life, but it’s a far safer bet that, when dealing with Mos Generator, you’re going to get straightforward, immaculately written heavy rock and roll, and that’s just what the Port Orchard, Washington, trio deliver on their third full-length since their 2012 resurgence (sixth overall, second for Listenable Records), Abyssinia. Now a seasoned road act after spending years functioning part-time, the band follows-up 2014’s Electric Mountain Majesty with 10 songs that sound as assured in their execution as in their construction, bringing stage-hewn chemistry between guitarist/vocalist/keyboardist/engineer/auteur Tony Reed, bassist Sean Booth and drummer Jon Garrett to a studio setting in a fashion that, as ever, is driven by a clarity of sound and purpose but maintains a heavy, classic presence beneath. Duality is nothing new for Mos Generator — of whom I’ll say both that I’m a fan and that I consider Reed a friend — as Electric Mountain Majesty showed in its moments of underlying depressiveness and dissatisfaction. Abyssinia, with a title that’s reportedly playing off the Washington-state accent’s version of “I’ll be seein’ ya” but nonetheless uses the word “abyss” to make that play, has its moments of melancholy as well, whether it’s the slower roll of “As Above so Below,” “Wicked Willow” before it or the closing duo of “Time and Other Thieves” and “Outlander,” but that brooding is offset by a thrust greater even than the band showed on 2012’s Nomads (review here), songs like “Catspaw” and its side B counterpart “Red Canyons” pushing into what would be manic territory were Reed and company still not able to keep such a handle on the material. Add to that last grouping the blown-out “There’s No Return from Nowhere” and the Captain Beyond-style shuffle over which “Time and Other Thieves” contemplates mortality and the double-edge of Mos Generator becomes even more apparent. In that, it’s a fitting answer to Electric Mountain Majesty, but the tracks as individual pieces are stronger, and it’s almost too easy to attribute that to the fact that the band has spent the better part of the last two years on tour — but they have — and so are able to deliver a song like “Easy Evil” with a defined purpose and an energy that rings true throughout the record, starting with opener “Strangest Times,” which launches immediately — no time for intros — into its first verse and seems to be the road song that Reed has been dying to write all these years, the line, “I’m just a slave to the strangest times that I’ve ever known,” belted out before each of the two solos. Garrett starts “You’ve Got a Right,” which is a roller with a multi-layered vocal hook that presages some of the harmonies to come later on and flows easily into the tempo kick of “Catspaw.” Some classic metal riffing in the verse is offset by melodic flourish in the guitar — one of Mos Generator‘s greatest strengths has become attention to detail — and a slowdown release in the chorus, but the prevailing impression left behind is still the gallop, which makes it that much more of a jump when the relative lumber of “Easy Evil” begins, its nod maintained for the duration of its five-minute run, an airy break, solo and hard-funk fuzz highlight riffing leading the way out with an irresistible groove only to have “Wicked Willow” pick up with a more mid-paced feel that showcases the range in Reed‘s vocals as he follows the guitar line on one last unpretentious bounce to close out the first half of the tracklisting. I’m not sure if that’s where the vinyl split is or not, but either way, “As Above so Below” works quickly in its first couple minutes to set a different, more progressive vibe, and much of what follows builds on that. Yes, it still rocks — Reed tears into a solo and soulful chorus as Garrett and Booth lock in another righteous nod — but a quiet break in the first half establishes a tone that Abyssinia takes as a central element in its back half. Of course, Mos Generator need to get through “Red Canyons” first. The most vigilant push on the record is well placed to continue the momentum from earlier into the final three tracks, which are richer in their arrangements and of course more patient — catchy “Red Canyons” is, patience it has little time for — but less about physical motion. A simple verse/chorus interchange becomes one of Abyssinia‘s standout hooks, and the effect is clear going into “There’s No Return from Nowhere,” which is the most weighted-feeling of the cuts here, though it introduces its central riff acoustically before its full stomp kicks in. Crashing and shouting and a wash of noise cut out suddenly to harmonies and softly-strummed guitar, keys and classically progressive boogie — a return of the acoustic alongside the synth — arriving as a surprise but somehow still working. The heavier riffs continue to lurk, however, and they do come back to finish out as Reed delivers the title line, ending cold so that “Time and Other Thieves” can start its already-noted shuffle, its movement marked by double-time hi-hat, frenetic choppy guitars and Booth‘s bass holding it all together in classic power trio form. A turn begins with the subtle arrival of organ at the halfway point, but Reed takes a guitar solo before they shift back into the main riff and then on to a closing section of key-led space-prog, Garrett holding onto some of the track’s initial energy but clearly heading someplace else with it. That’s a sudden change, even with the keys having appeared earlier on the album, but in addition to being somewhat satisfying to hear Mos Generator bust through the confines of even their own songwriting rules, it makes sense in light of the six-minute closer and longest track “Outlander,” which boasts Mellotron layers and a subdued groove initially before Reed begins his gloriously harmonized and intricately arranged vocals. Before they even get to the chorus, “Outlander” is sure enough foreign in its sound from everything else on Abyssinia — one might liken its intent more toward Reed‘s shortlived HeavyPink project — but its progression serves as the payoff for the album as a whole, moving in the chorus to a transfigured “I Want You/She’s so Heavy”-style riff that seems to answer everything the three-piece have done up to that point, be it heavy, melancholic or progressive. They ride that to the song’s end, and rightly so, and cap Abyssinia on a striking and adventurous note, showing that while Reed has helmed the band for more than 15 years, there’s still growth underway in its scope and stylistic breadth. Mos Generator, as an outlet for his restless, relentless creative spirit, have never sounded more in command of their approach than they do on Abyssinia, and as they’ve embarked on a tour-as-much-as-possible ethic, that seems only to have brought more life into their already accomplished craft. 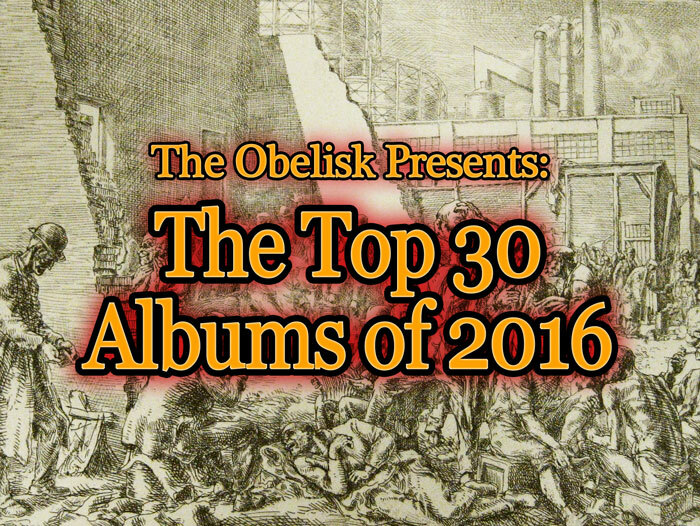 Abyssinia stands among 2016’s finest heavy rock albums, easily. 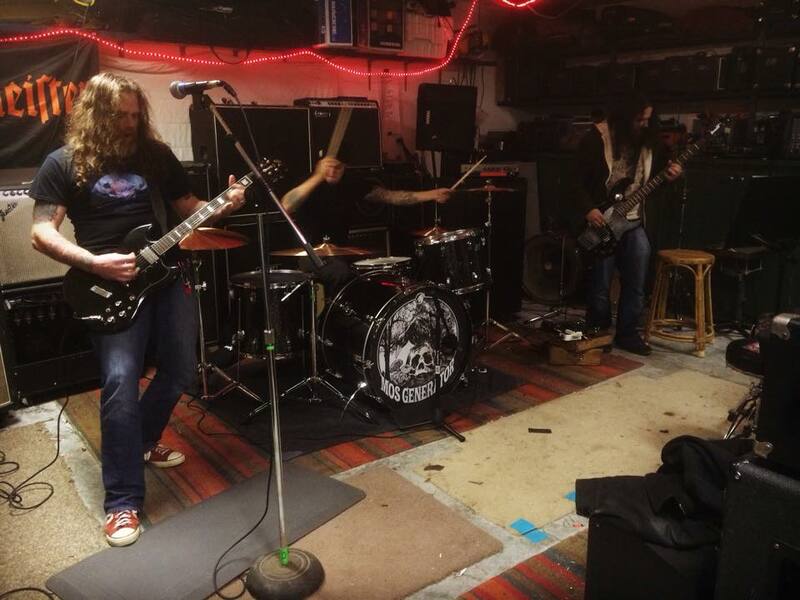 Washington heavy rock trio Mos Generator and duo Year of the Cobra recently got together to record songs on a 4-track tape for an upcoming split single, with Mos Generator‘s Tony “The Restless” Reed at the helm. The news today is that this split, which will be out on Ripple Music and H42 Records, will coincide with a US tour beginning in June that also leads Mos Generator closer to the release of their new album, Abyssinia, on Listenable Records in July. I’d expect this to be just the first round of what will probably be a several-legged run to support Abyssinia. Ever since Mos Generator took to the road following 2014’s Electric Mountain Majesty (review here) with a revamped lineup, they have basically never looked back. 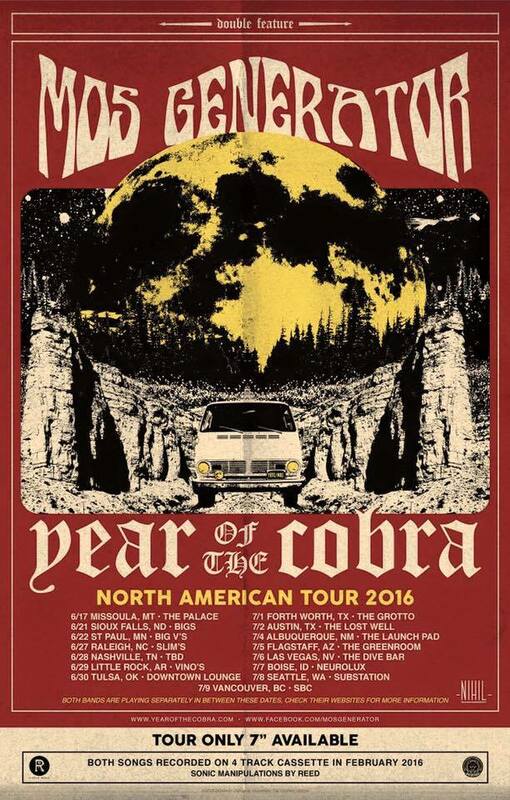 Year of the Cobra‘s debut long-player is set to arrive later this year as well. Not sure if it’ll be out by the time of this tour — STB was handling the release, last I heard — but they’re sure to be heralding its coming one way or another. Their 2015 EP, The Black Sun (review here), can be streamed below. 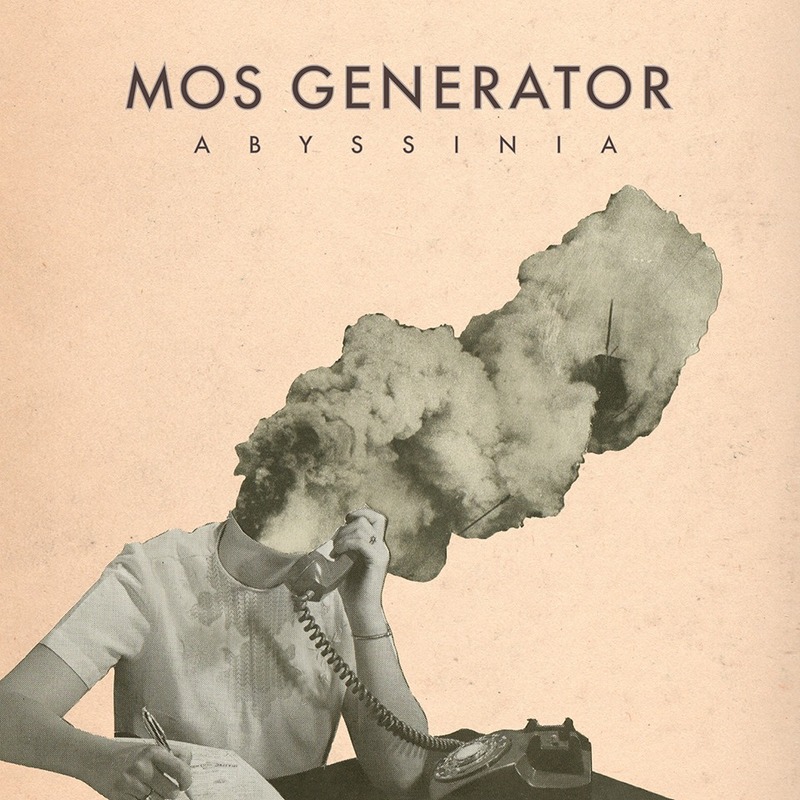 Mos Generator have unveiled the cover artwork of their new full-length album, ‘Abyssinia’, scheduled for a July release. Here are the complete dates for the Mos Generator U.S. tour. More Regional (northwest) dates and European dates for MG coming soon. It’s been a hell of a couple years for Mos Generator, who have become as restless on the touring end as founder Tony Reed has been in his songwriting and studio work all along. 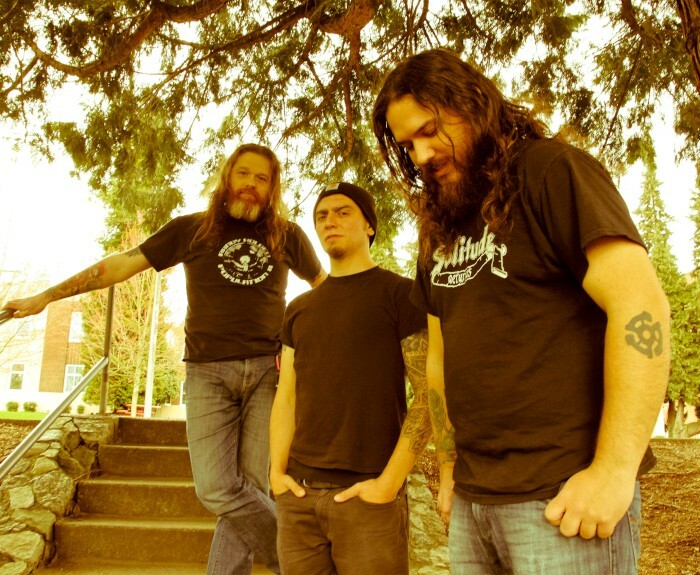 The Port Orchard, Washington, heavy rock and rollers have swapped out two-thirds of their lineup since issuing Electric Mountain Majesty (review here) through Listenable Records in 2014, and been back and forth across the country multiple times, Reed, bassist Sean Booth and drummer Jon Garrett working quickly to hammer out a stage chemistry that one will listen for as their new album, Abyssinia, arrives in July. MOS GENERATOR have just finished mastering their brand new album entitled ‘Abyssinia’ which is scheduled for a July release. There goes another 1.589 seconds.